Maybe it’s all the Valentine’s Day hype, but I find that recently my baking thoughts are centered pretty firmly around chocolate. I’m never one to turn down chocolate, but it’s been especially on the brain these days. 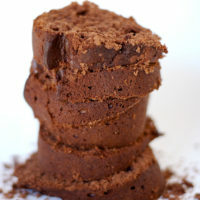 I took my favorite brownie recipe and upped the chocolate ante with a rich chocolate ganache. More chocolate is always a good thing, right? If you’ve never made ganache, I can’t express to you how simple it is to make. You only need 3 ingredients and about 10 minutes to make a beautiful, delicious ganache. I’m always a fan of simplifying. In keeping with that concept, I opted to dip the top of each cooled brownie into the ganache instead of spreading the ganache on top. It’s much quicker and really a lot less messy. 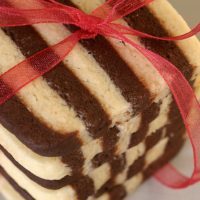 If you prefer to go the more traditional route of frosting each brownie or frosting the uncut brownies, that’s perfectly fine. I topped about half of the brownies with some chopped toasted pecans. Of course, these brownies are an absolutely delicious pure chocolate experience without the nuts. Or if you prefer, top them with some other nut, toffee bits, toasted coconut, or anything else that sounds like a good match. I recommend putting any topping on the brownies before the ganache sets so that the topping will stay on the brownies better. If you’re a fan of boozy desserts, try adding about 2 teaspoons of your favorite liqueur to the ganache after it’s off the heat and you’re ready to stir it. 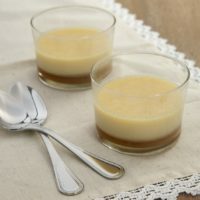 I love adding a coffee-flavored liqueur or a hazelnut-flavored liqueur for a more grown-up dessert. 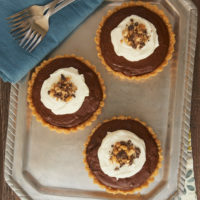 For more of my favorite chocolate desserts here on BoB, be sure to see my Best Chocolate Desserts. 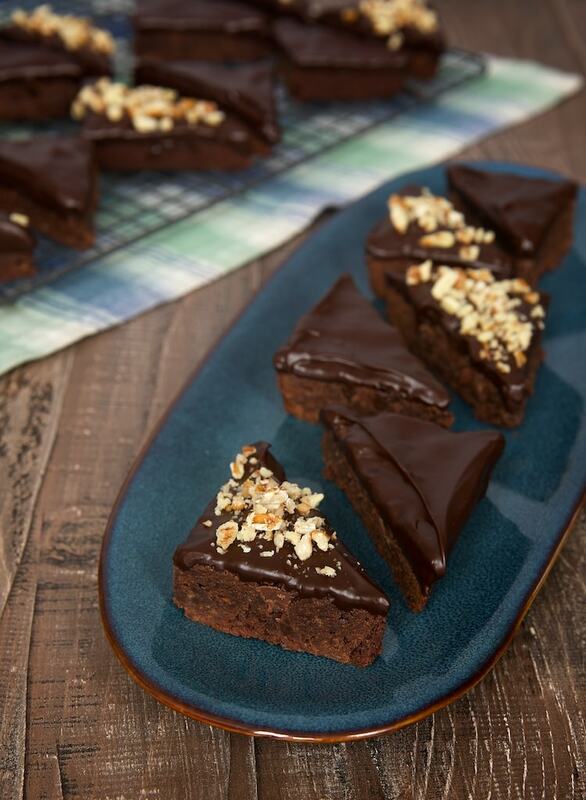 Chocolate lovers will adore these Chocolate Ganache Brownies. There’s so much chocolate going on here! Preheat oven to 350°F. Line an 8-inch square baking pan with parchment paper so that the paper overhangs by a few inches on two opposite sides. Place the chocolate and butter in a microwave-safe bowl. Heat in the microwave at half power in 30-second increments until the butter is melted and the chocolate melts when stirred. Stir until smooth. Set aside to cool slightly. Mix the sugar, brown sugar, eggs, and vanilla until well-blended. Add the chocolate-butter mixture, and mix until smooth. Add the flour and salt, and mix just until combined. Stir in the chocolate chips. Transfer the batter to the prepared pan and spread evenly. Bake 35-40 minutes, or until a pick inserted into the center comes out with a few moist crumbs attached. Run a knife along the non-lined sides of the pan. Cool in pan on wire rack. Using the overhanging parchment paper, lift the cooled brownies out of the pan and onto a cutting board. Use a sharp knife to cut into bars. Place the chocolate in a heatproof bowl. Set aside. Place the cream and butter in a heavy saucepan. Bring to a boil over medium-high heat. Remove the cream from the heat and pour over the chocolate. Let sit for 5 minutes. Then stir until smooth. 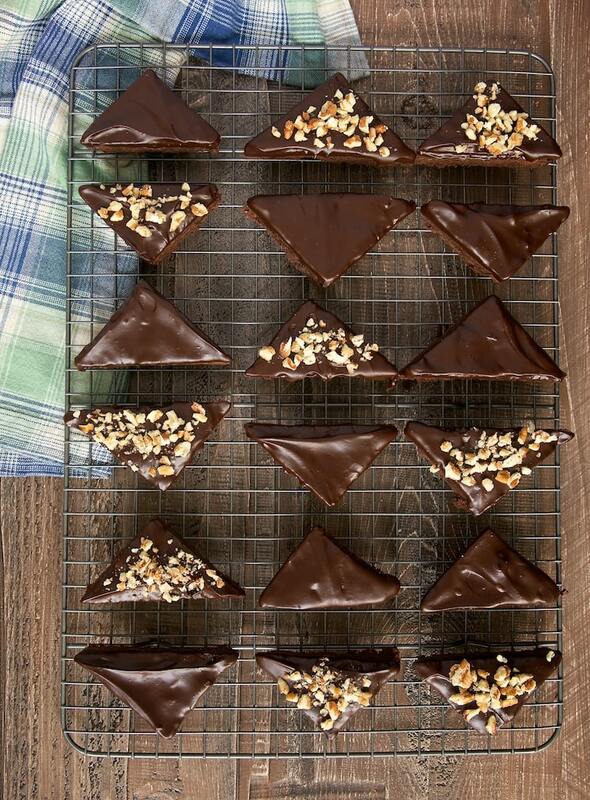 Dip the top of each brownie into the ganache. If desired, sprinkle pecans on top of each brownie. Set on a wire rack to allow the ganache to set. 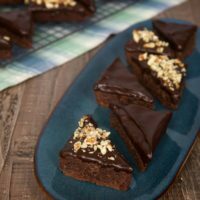 I love a good brownie but adding some ganache elevates it beyond a simple dessert to an elegant one. PLUS nuts? Sounds divine. More chocolate is always a good thing! 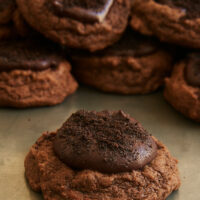 Ganache makes everything better–so I know that these are fabulous! I love chocoloate – so these look fantastic! Chocolate brownies with more chocolate on top = yum. I love how ganache is so simple that it’s almost like magic. That moment it turns from a lumpy mess to a glossy rich chocolate pool is one of life’s true joys. Alllll the chocolate!! Love that pretty ganache. I’m a sucker for anything with ganache and these sound absolutely divine! Pass the milk! That chocolate ganache takes those brownies to a whole new level of yum! Oh boy this looks heavenly. Totally up my alley with all that chocolate all over the place! Yummy. These look so decadent and delicious. 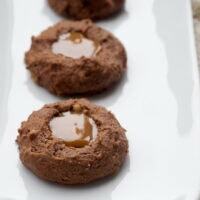 I’ve never used butter in my ganache, but why the heck not richer=better! Pinned! Chocolate on chocolate…I like the way you think! chocolate ganache makes everything better-fact. These brownies look so perfect!